Welcome to "Wild Waters" ! 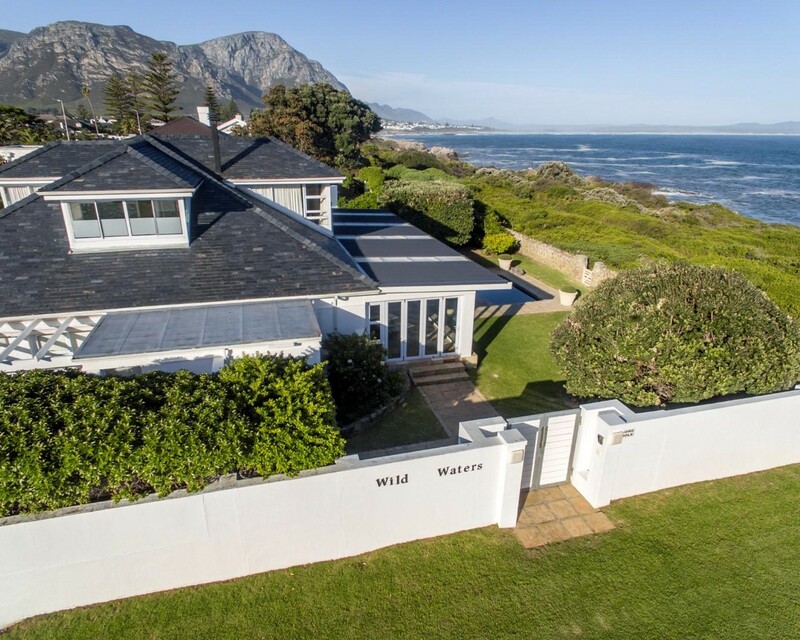 Perfectly located at the iconic Kraal Rock "Wild Waters" is an elegant slate roofed home enjoying a corner position with sweeping 180 degree ocean views stretching across the entire Walker Bay. The exquisite natural surrounds are enhanced by the elegant and gracefully appointed interior combining open plan living with seamless high quality finishes, beautifully appointed and maintained.